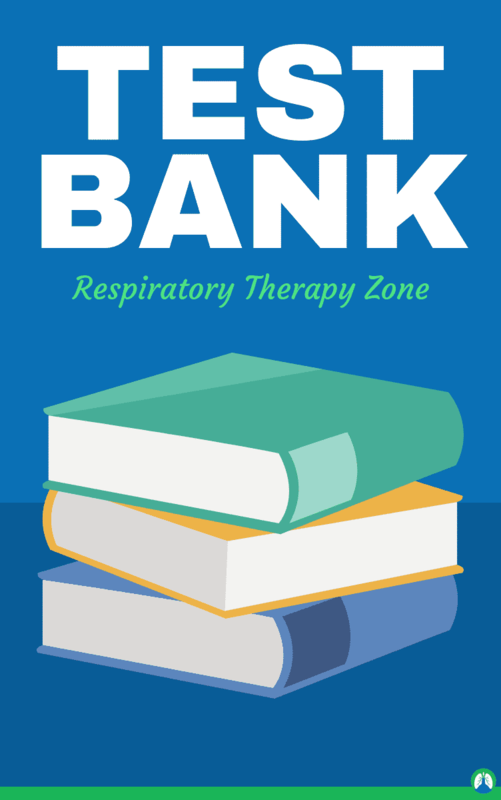 Welcome to our Test Bank — the best and largest collection of study guides and practice questions for Respiratory Therapy Students in the world. As I’m sure you already know by now, our #1 goal here at Respiratory Therapy Zone is to help Respiratory Therapy students succeed. Period. And to accomplish this goal, we created hundreds of study guides that are full of helpful practice questions designed to help you study and learn the information that is required of you in Respiratory Therapy school. Below you will find guides and articles on just about every topic that you must know as a Respiratory Therapy student. The best part is, it’s all 100% free. So there you have it. Take your time and navigate through the Test Bank below and find the topic that you need to learn about the most. Don’t see what you’re looking for? Let us know and we’ll see what we can do. 🔒 Oh yeah, and if you haven’t done so already, make sure to download a copy of our FREE book.